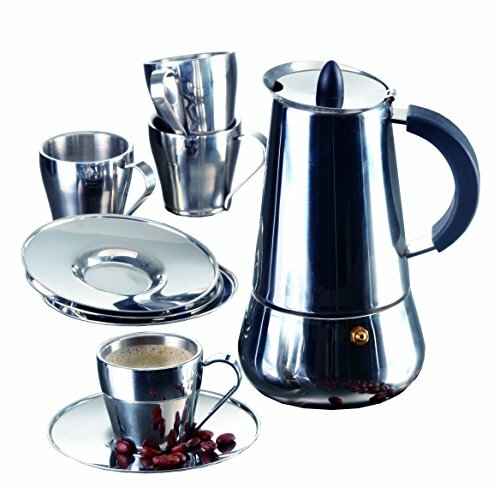 IMUSA stovetop espresso makers allow you to be a barista at home! This stovetop espresso maker brews under a mild pressure, forcing hot water up from the base through ground coffee then into the top carafe in just minutes! You will love the rich, full-bodied flavor produced by this stovetop method, made popular in Europe and Latin America. Ideal for gifts! If you have any questions about this product by Imusa, contact us by completing and submitting the form below. If you are looking for a specif part number, please include it with your message.